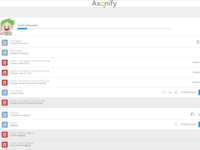 Axonify focuses on retail, manufacturing and logistics where there is a large "deskless" workforce. Deskless workers (those who don't sit at a computer) have been virtually ignored by the LMS. You need your employees to remember to do the things that matter most to your business every day. 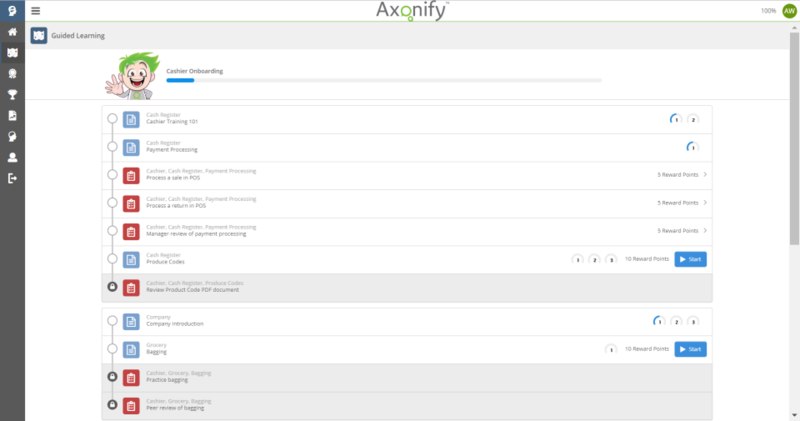 Axonify has the secret sauce to make those critical behaviors stick. Our platform serves focused, bite-sized bursts of information in the way humans learn best, continually adapting to fill individual knowledge gaps. It weaves in user motivation tools to keep bringing them back. And it's smart enough to help you clearly see ROI. We call it microlearning, but our customers call it a game changer. Pros: Once a program is set-up, the software is easy to use. Our end-users have had NO issues becoming comfortable with the software. Cons: What I liked least had nothing to do with the software per se', rather the lack of formal training. 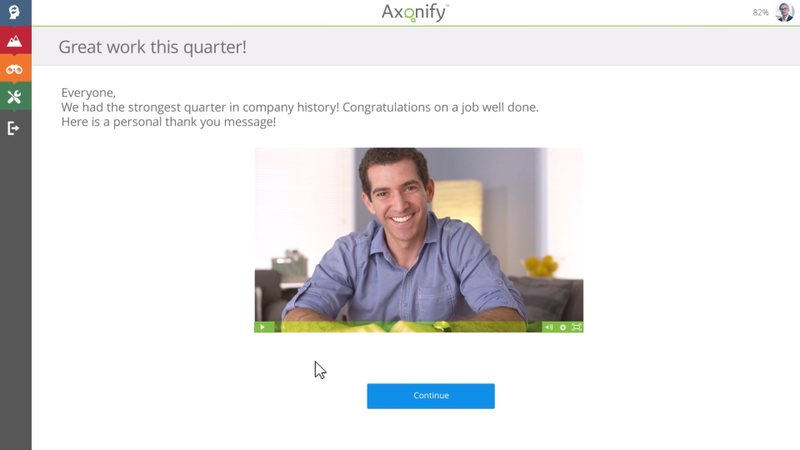 I first began working with the Axonify software 1 year ago and quickly became the appointed Administrator for any and all Axonify programs at Shire. 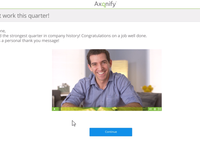 Having had NO prior experience with this type of software (let alone setting it up), I would have benefited GREATLY from training (live or e-learning) rather than walking through the steps via WebEx. Everyone I communicated with at Axonify was great, but I need a more formal learning approach so it has been very frustrating for me. Most recently, reps invested significant time to ensure my program was set up correctly. His patience and detailed explanations enabled me to understand where I made mistakes and what I needed to do to correct my mistakes. Most of this occurred the Friday of New Years weekend and the reps never once made me feel rushed or bothersome. As a result, the program launched successfully. 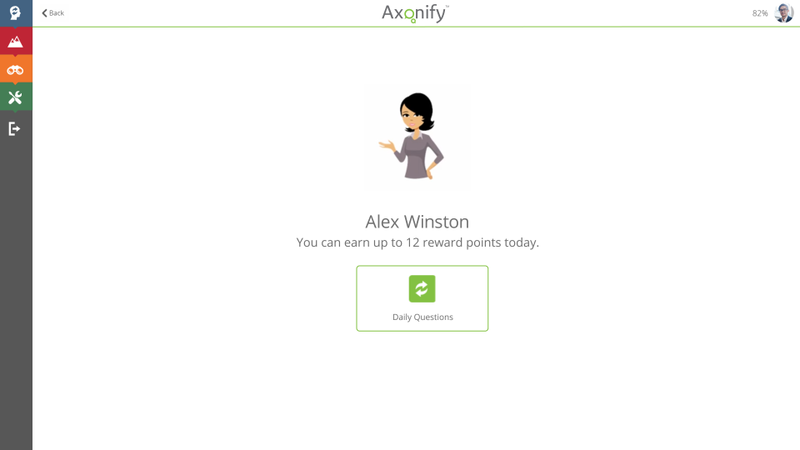 Overall: In Learning & Development, we are using Axonify to develop our salespeople's knowledge of a recently launched product in our Neuroscience franchise. Our objective was to provide them access to a methodology capable of being implemented on demand and without a lot of fanfare, accessible remotely- and available to individuals. 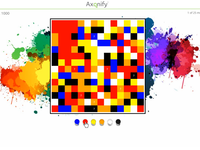 We also wanted the method to be fun in order to increase engagement. 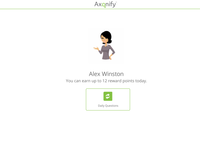 Axonify has succeeded on all of these points. Thank you for sharing your experience with Axonify, Jeanne. We have excellent training resources available for our Admins that your Customer Success Manager can point you to, or you may access existing documentation and video content through our Customer Care Team. This has been a powerful program to train team members at all levels about the company. Pros: Quick daily training. No more than 10 minutes which only varies based on the game you play, if you play one at all. The ability to challenge a team member is excellent since this allows the user to sometimes forget there is training going on. Ability to communicate with my teams is a very useful tool. We can say anything quick and short or upload a video if we choose to. Cons: It does seem that they are still learning from the program. Sometimes in can be a bit glitch. For example, I once accidentally logged in on both my pc and mobile, and was able to start the training which probably skewed my results for that day. Aside from that, since the daily work is so short, I don't see many other cons. Overall: Learning about aspects of the organization that I don't get to interact in on a daily basis, if at all. 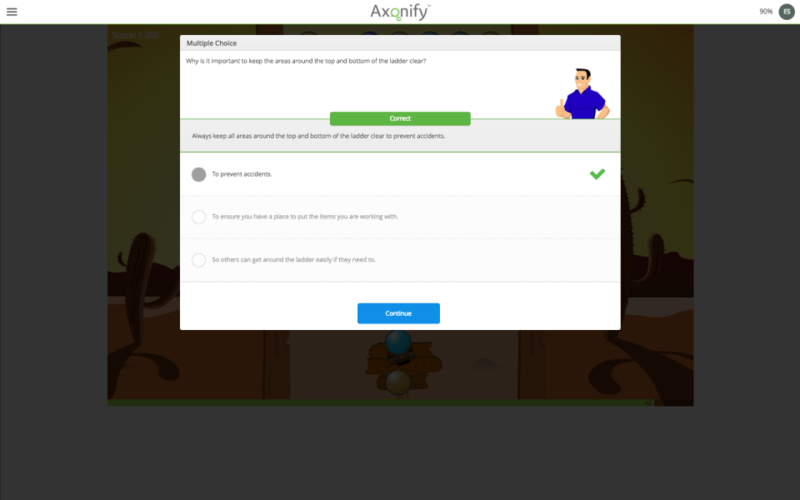 Thanks for taking the time to review Axonify! We're thrilled that you and your team are enjoying the platform! We'll take a look into your comments regarding overlapping logins from separate devices since what you've described isn't the intended behavior/experience. Thanks again Rolando and we'll touch base with you shortly! Pros: There are very few issues with associates utilizing content across multiple platforms. 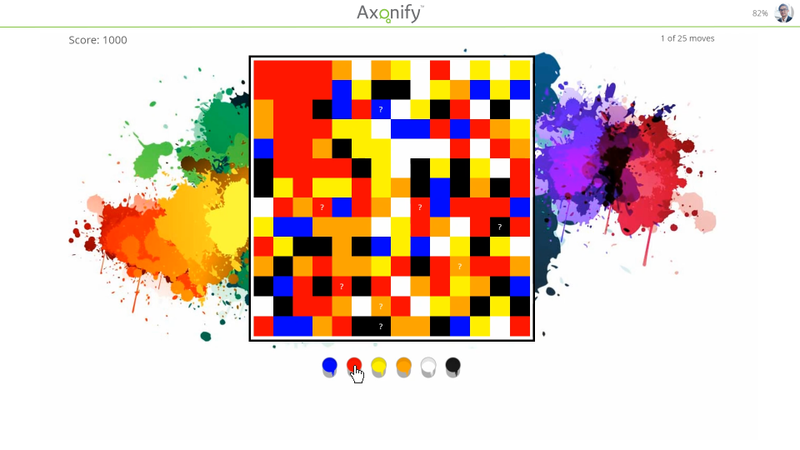 Cons: I like Axonify a whole bunch, and I'm struggling to think of a con. Pros: A create tool to disseminate content through microlearning. Very user friendly and powerful reporting features. Cons: Requires a lot of managing to upkeep questions database, if not buying full support to manage that piece.